The front of the case is closed with a zipper and it can holds your tissues but you can also decide to put in it your cell phone, ipod or camera!! 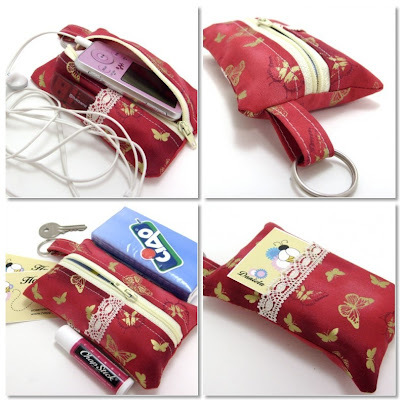 !The little pocket on the front can holds your lip balm, candies or USB driver. There is a key ring for your keys, and, on the back, there is a big pocket for your business cards or credit card or driver licence...Do you like the pattern but not the fabric?Feel free to convo me and ask for your favourite color or fabric!I'd be happy to do custom orders!!! You can find the original 4in1 case in my shop! And...do you like to read? Great! 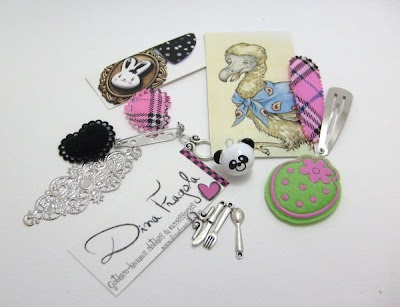 those cute bookmark are for you! They make a cute little gift for you or your friends! You can find them in Burning Moon shop! 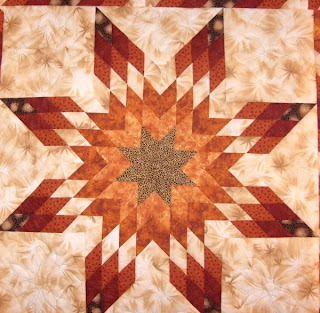 I love to "look" to Etsy shop and find amazing items! 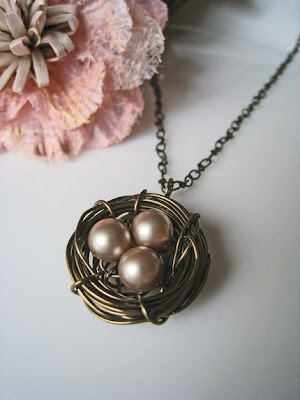 Today I found this beautiful necklace...who don't love birds? If you are looking for cute and unique jewerly, this is the right place for you! It doesn't matter that I would like to eat a pizza this evening...he needs to do BBQ!!! So...now he's in our garden taking care of our meat...LOL!!! 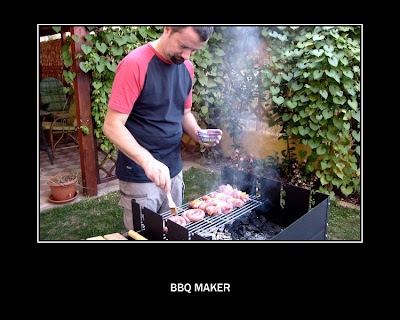 So...ladies...is the BBQ an exclusive men thing????? Are your hubbies like mine too??? Weekly challenge: Fall is coming! 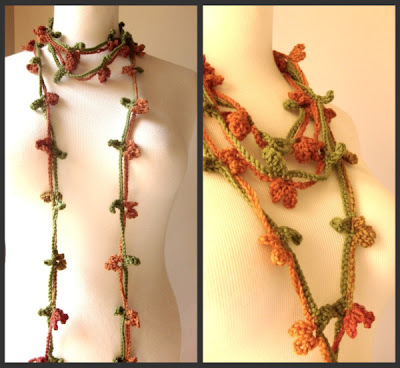 A hand made crochet lariat that features all the colors of autumn! If you'd like to see all the entries, go here ! Thanks and have a great Saturday!!!! last week I partecipated in Dina Fragola's blog giveaway and this morning I found an envelope in the mail and...what a lovely surprise!!! 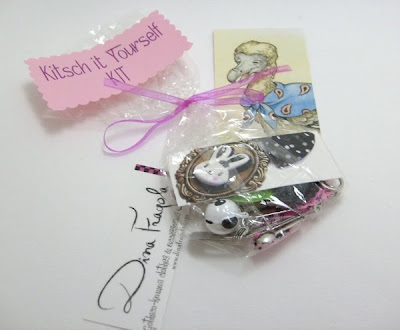 The Cute Kitsch It Yourself bag contain a real little treasure!!!! I love it sooooo much!!!! Thanks so much for this cute give away Nathalie!!!!! 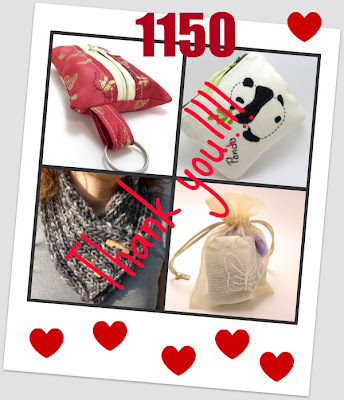 Today I've reached 1150 hearts on my Etsy shop!!! I can't tell how much happy I'm for this...wow...1150!!! I wish they are sales...LOL...but...I'm so happy that so much people take the time to visit my shop and found it enough nice to give me a heart!!!! So...thanks so much to all for ALL YOUR LOVE!!!!!!! Ok...I'm making another Panda pouch that seems people like it so much and I'm so happy for this! But...I also love birds, owls, sheeps and so...I'm making some pouches with them too! I love so much to create new things, starting with a plain piece of fabric and ending with something of special!!! It's amazing how our brain works...you give it the basical idea and "she" do the rest!!! LOL!!! Would you like to help me to find some nice names for those news pouches? The sheep, bird and owl ones? And...if you have some ideas for new subjects for my pouches too, please, feel free to post them here!!! 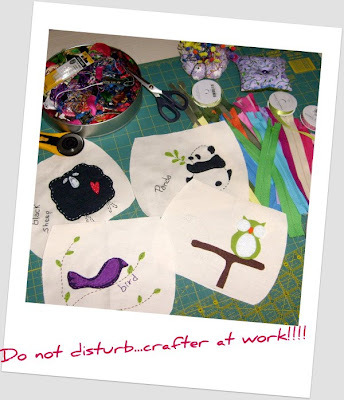 Thanks so much and now...I'm going back to my sewing room!!! Happy Sunday to you all!!!! Are you bored about this heat? Are you thinking of those beatiful sunny days in winter, when the air is fresh, the sky is blue and you can drink a hot chocolate with your friends? And...are you crazy for GREY???? 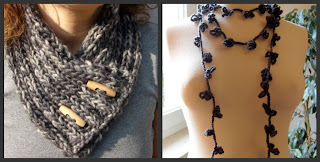 my "Shades of Grey" scarflette and my Grey crochet necklace that could be wear in lots of differents ways. You can find them in my Etsy shop! 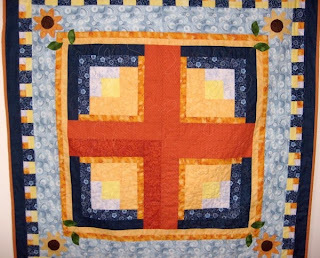 Every quilter knows this old saying and as a quilter...I know it too! 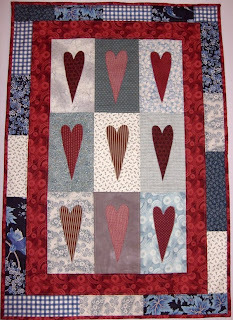 I love to make quilts for me, family and friends and love to fill my house with them! I love to think about them, create and sew them, feel the soft touch of the fabrics in my hands, smell them...I'm a fabricholic...LOL!!!! 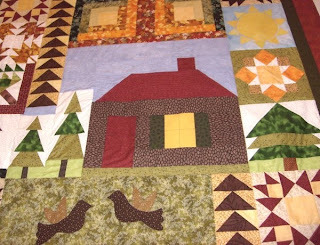 Quando la vita ti da degli avanzi...cuci un quilt. 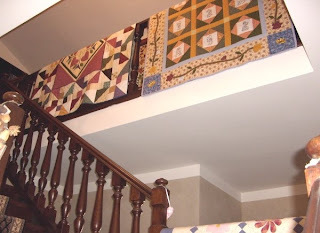 Amo cucire quilts per me, la mia famiglia, amici e riempire la mia casa con loro. 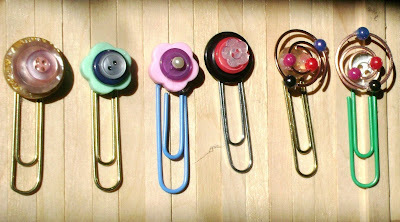 Queste sono alcune delle mie creazioni. What a simple flower can do for you? 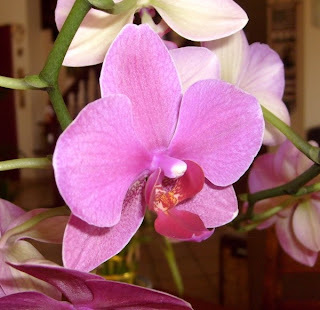 But...this morning, I got up and find this wonderful flower over the table. Iit seemed that it looked at me, try to say something like "hey you!!!! I'm here!!! can you see me???" Oh yes, I can see you and you are so beautiful, delicate and strong at the same time and you make me happy! So...thanks pink little flower...today you got me a really nice start of the day!!! Abbiamo fiori ovunque, lui ha veramente il "pollice verde" mentre il mio è SCURO...direi proprio NERO!!!! Ma stamattina, mi sono svegliata ed ho trovato questo bellissimo fiore sul tavolo. Sembrava che mi gaurdasse e provasse a dirmi "hey tu! mi vedi? sono qui!" Certo che ti vedo e sei veramente bello, fragile ma forte allo stesso tempo e guardarti mi rende felice! Così...grazie piccolo fiore rosa per avermi regalato un dolce risveglio e un buon inizio di giornata!!! 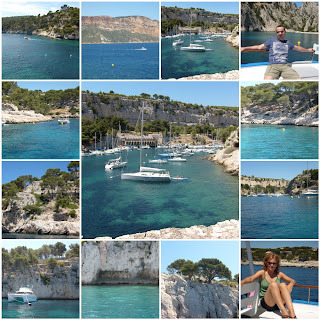 we traveled every day with our car and every day we saw something new and gorgeous! Provence is a wonderful place, you can find everything there: sea, mountains, relax and...LAVENDER!!! We found tons of lavender's fields and...they are great!!! Now we are at home again but in our mind we still have the images of those wonderful places and in our nose the smell of lavender!!! Così abbiamo scelto la Provenza. Abbiamo viaggiato in posti diversi ogni giorno con la nostra macchina. La Provenza è veramente bellissima, trovi tutto: mare, montagna, relax e divertimento e soprattutto...la lavanda!!! Abbiamo visto campi immensi di lavanda...un vero spettacolo! 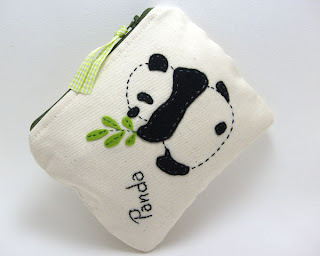 E...come iniziare al meglio questa mia avventura...beh...dicendovi che la mia nuova Pretty Panda Pouch è stata inserita nella Front Page di Etsy sabato scorso e di questo sono felicissima!!!! Questo è il mio primo post in assoluto...ma ne seguiranno molti altri!!! Grazie a tutti voi per aver trovato il tempo di leggermi!!! Well...I'm not a blog expert so...with this one...I'll try to do my best! And...what a better way for to start this new adventure? my new Pretty Panda Pouch was featured in the Front Page of Etsy last week and I'm so happy for this! This is my very first and hopefully many others will follow! So, thanks to all of you for follow me!! !